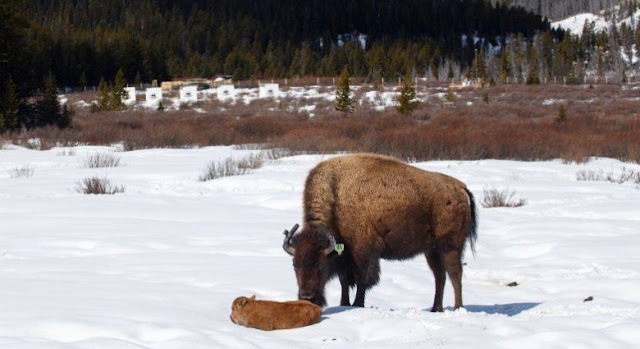 Canadians are getting their first glimpse at the newest additions to Banff National Park’s wild bison. Parks Canada released photos on Tuesday of the first bison calf born in the Panther Valley on April 22. Since then, two more have been born. “Things are going really well, it was amazing the first calf was actually born on Earth Day, ironically,” Bill Hunt with Parks Canada said. Hunt said there’s now ten pregnant females in back country Banff along with six males. On Feb. 1, 16 Plains bison were transferred from Elk Island National Park, east of Edmonton, to the Panther Valley in Banff National Park. “It’s a huge milestone in this project, this will help tie the cows to that site and for the calves born this spring, Banff will be the only home they’ve ever known,” Hunt said. The federal government said the reintroduction of the bison is not only ecologically important, but has a “great spiritual meaning” for indigenous peoples. 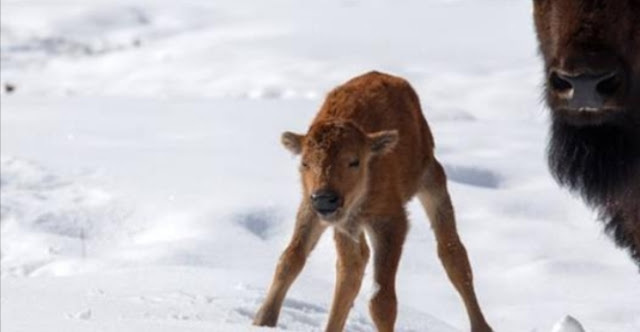 Responses to "First bison calves born in Banff National Park in over 140 years"
Hope this does not go the same way as Yellowstone. Praise God the Creator for this blessing. Great story, but would have been a better story if the governments didn’t order their decimation in the first place as a means to rid the plains of the “savages” that followed them as they were what sustained them throughout their existence. My ancestors. What a beautiful sight that would have been, to see thousands upon thousands of wild bison roaming not only the Great Plains, but all regions of the “Americas”. America without bison = like our Tatras without chamois = they are an inseparable part of their country !! !